You'll be £25.00 closer to your next £10.00 credit when you purchase An Eye in the Sky. What's this? 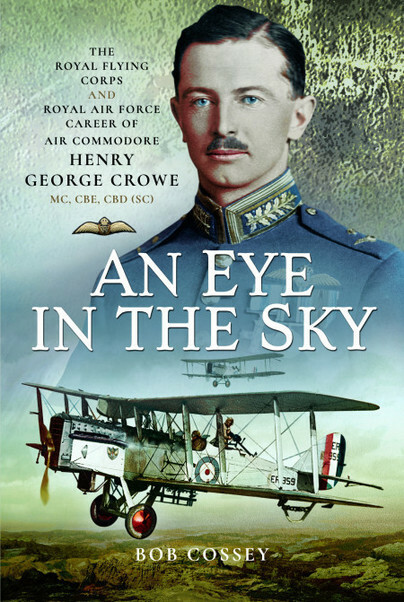 This is the biography of Henry Crowe whose career encompassed time as an infantryman with the Royal Irish Regiment during the First World War, an observer with the RFC and fledgling RAF, a pilot in Ireland at the time of the Irish War of Independence, a photographic officer and flight commander in Iraq, and Commanding Officer of Nos. 23 and 74 Squadrons. His memories of time spent in Iraq and on the North West Frontier between the wars have a real resonance today, illustrating just how little has changed in some respects. Henry served at the Air Ministry in various positions and concluded his service with the RAF in India, retiring as an Air Commodore in 1945. He had a keen interest in photography and took hundreds of images of the places he served, the aircraft he flew and saw, and the people he met. With an early Bell and Howell cine camera he also captured film of Malta, Iraq and India between the wars. As a photographic record alone this book is fascinating. But Henry wrote about his experiences as well and it is his memoirs that form the backbone of this biography, written with the full backing of his family. Henry Crowe was highly decorated and especially well thought of during the course of his career; reading Bob Crossey’s account of his fascinating life, it is clear to see why.